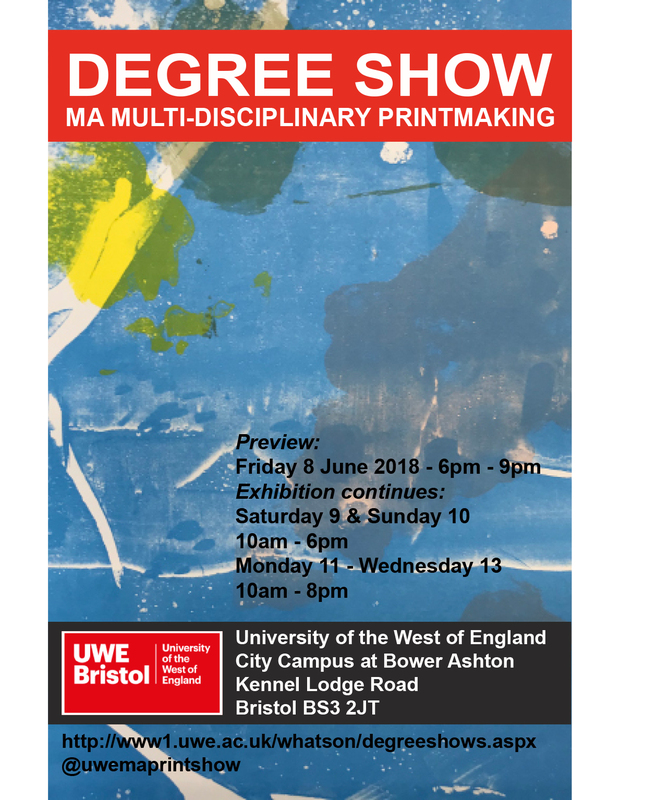 Tonight is the opening of my degree show at the University of West of England’s Bower Ashton Campus. It’s been a brilliant three years. Made great friends and had access to top-class facilities. The running of the course has been faultless (course leader: Sarah Bodman). It’ll be open Saturday and Sunday (10-6pm). And, Monday, Tuesday, Wednesday (10-8pm). We’re in F Block, 1st floor. The image on our publicity is by fellow artist and printmaker Maxine Foster. Check out our Instagram feed for our degree show.